Dwyane Wade has been swapping jerseys and signing memorabilia all season long as part of his farewell tour. 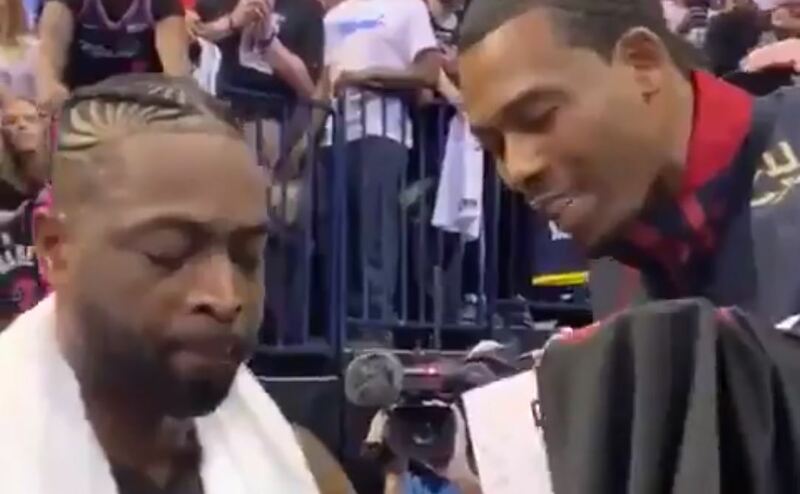 Following Monday’s win over the Oklahoma City Thunder, the Miami Heat star got an opportunity to see how far his impact has gone. Following the game, one fan told Wade that he had named his son after him. When you meet your son’s namesake. Wade certainly seemed like he appreciated hearing it straight from the fan at the time, and a few hours later he took to Twitter to make sure the fan knew how much it meant to the three-time champion. Wade’s final season has given players, coaches, fans, and everyone in between time to express their gratitude for the impact Wade has had on the game of basketball. Clearly, Wade’s impact has gone much further than the basketball court. The Heat have just 12 games left on their regular season schedule. While it is still not a guarantee, they are currently on track to advance to the playoffs. Wade calling it a career after a final postseason run would be the perfect cherry on top of a season that he and his fans will surely never forget.